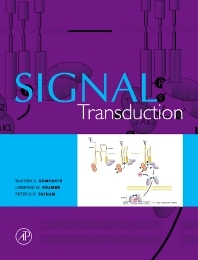 Signal Transduction is a well-illustrated, coherent look at cellular signaling processes. Beginning with the basics, it explains how cells respond to external cues, hormones, growth factors, cytokines, cell surfaces, etc., and then shows how these inputs are integrated and coordinated. The extensive color artwork provides the reader with a clearer comprehension of key topics, and margin notes are incorporated to highlight milestones in the evolution of signal transduction. This book serves as an invaluable resource for advanced undergraduates, graduate researchers, and established scientists working in cell biology, pharmacology, immunology, and related fields. Prologue: Signal transduction, origins and personalities. First messengers. Receptors. GTP-binding proteins and signal transduction. Effector enzymes coupled to GTP-binding proteins: adenylyl cyclase and phospholipase. The regulation of visual transduction. Calcium and signal transduction. Calcium signalling. Phosphorylation and dephosphorylation:protein kinases A and C. Growth Factors :setting the framework. Signalling pathways operated by receptor protein tyrosine kinases. Signalling pathways operated by non-receptor protein tyrosine kinases. Phosphoinositide 3-kinases. Signal transduction to and from adhesion molecules. Adhesion molecules and trafficking of leukocytes. Signalling through receptor bound protein serine-threonine kinases. Protein dephosphorylation and protein phosphorylation. Protein domains and signal transduction. "The text is strikingly comprehensive...Written with a single voice, the chapters integrate elegantly with one another, and provide the reader with both broad and comprehensive viewpoints...Remarkably current and up-to-date, the book promises to be a core text for graduate and advanced undergraduate courses in cell signaling and molecular cell biology, and a valuable reference book for all scientists whose work involves mechanisms of cell communication." 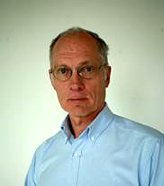 --Michael B. Yaffe, M.I.T.